Albert Mercredi would have been 47 this fall. 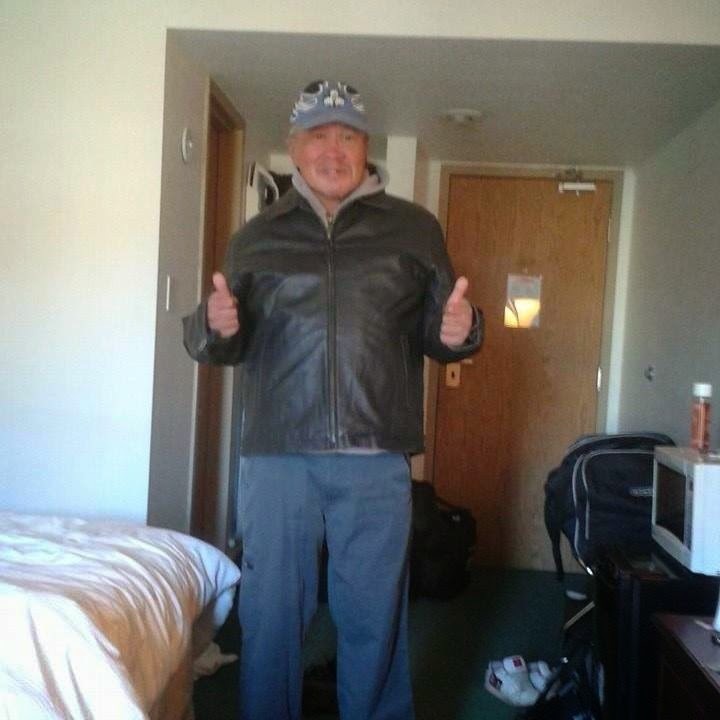 On Saturday, July 26, 2014 he was struck down while walking across Franklin Avenue, in Fort McMurray. He was on the crosswalk, it is rumored that he was hit by a drunk driver. The driver didn't stop. Albert was medevac to the university hospital in Edmonton, Alberta. Sadly, his injuries were too extensive. He was removed from the life support 6:20 pm Sunday, July 27th. I remember him as a gentle and loving person. He was kind. He was funny. Some might remember him when he occasionally directed traffic in Fort McMurray. He was loved by many. Whenever he spotted me, even from across the room, he would immediately come to me and would give me a bear hug. And he would entertain me with stories about his escapades. I remember when he was young, he had a black lab. They were inseparable. His dog would wait at the bus stop for him after school. He loved that dog so much. Albert was homeless and struggled with addiction most of his adult life. Still, his life had value. He enjoyed life. He loved and was so proud of his only child, his daughter Antoinette. He loved his mom and would always tell to her not to worry about him and that he would take care of her. But she worried about and prayed for him. He didn't deserve to have his life taken from him in this manner. The driver who didn't remain at the scene was apprehended hours later and will be facing charges related to this incident. I love you Albert. May you rest-in-peace. Since posting this, many people have come forward with stories and encounters with my nephew Albert. My fellow blogger and friend posted this on her blog after learning about Albert. Thank you so much for the lovely memory to add to ours. chief Adam posted this on his facebook wall. I hoped he would remove it after he got some perspective or sober second thought. Alas, after more than a week it was still posted on his wall. He is a First Nation chief, a leader, who we should hold to a higher standard of conduct. I believe there is no excuse or rationale for this type of public display in social media. What is he modelling for the youth in our community? Personally, I believe this horrific era in history should never be mocked and most certainly not by any leader. If a federal or provincial politician did this there would be an immediate public outcry. 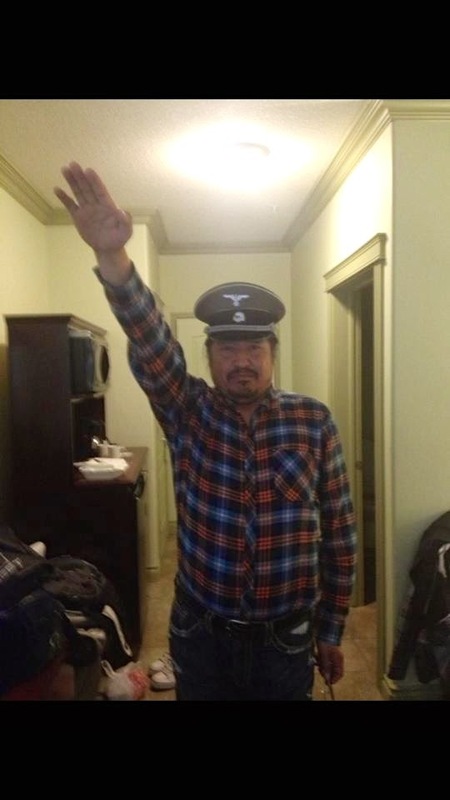 Indeed, if he thinks there is nothing wrong with posting this image on a social media site how can anyone take him seriously? He is making a mockery of our first nation and if we allow our chief to display this behavior without any ramification from council, we too are culpable. I've been told that it is no longer on his facebook, I can't confirm it because I don't see his page. However, he did the right thing by removing it. 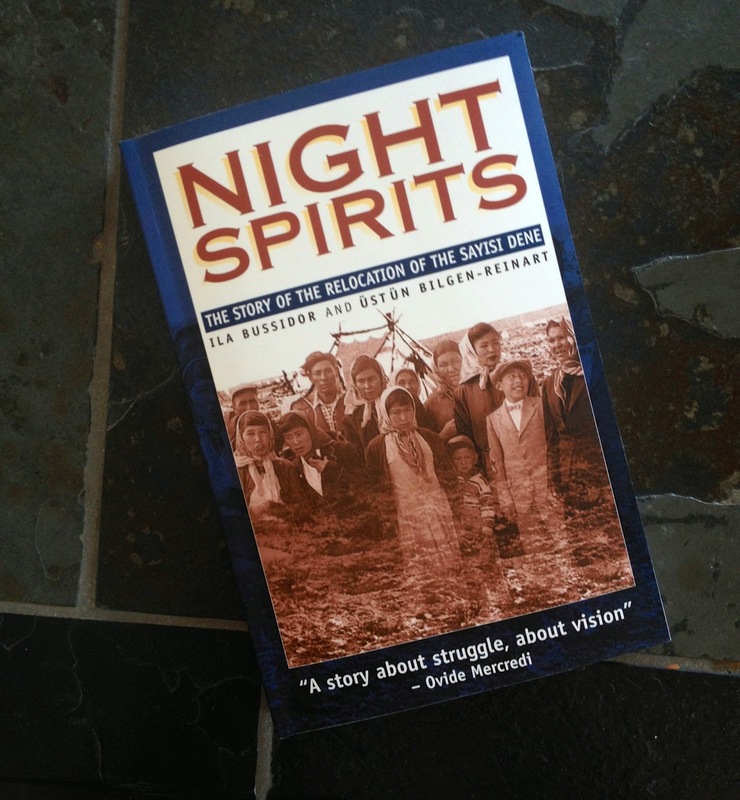 Night Spirits, The Story of the Relocation of the Sayisi Dene, Ila Bussidor and Ustun Bilgen-Reinart will touch your heart. 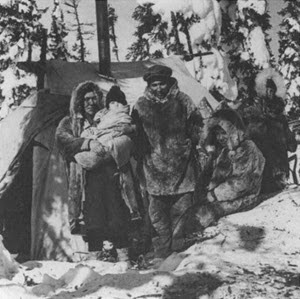 It is a story told in the powerful voice of some of the Sayisi Dene First Nation people who continue to be affected by a unilateral decision of the federal government of Canada to relocate their group in 1956. 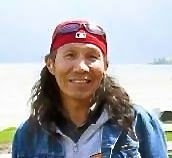 This single act almost destroyed them, had it not been for their inner strength and resilience that comes with having survived for thousands of years on their traditional lands in northern Manitoba, Canada. It makes no sense why the Canadian government would make a decision of this magnitude little over fifty years ago, which was thoughtless, shortsighted, and barbaric. What were they thinking! Imagine what would happen if you and your family were yanked from your community without warning and put in a place that was totally foreign. A place with language and customs beyond anything you could have conceived. How would you cope in a place where your skills and livelihood were not adaptable to your new environment putting you completely at the mercy of the government? This is a story of how the Sayisi Dene barely survived, their struggle, and how they eventually saw a ray of light in the bleakness that consumed them. At the end of the day, it was the sighting of a caribou herd, which provided them a glimpse of a renewed sense of hope. I highly recommend you read this book. It is a difficult book to read and you'll want to turn away from the ugliness, brutality and the truth as told by the voices in this book. This is our shared Canadian history. It is real. It is ugly. Moreover, it should never have happened. I guarantee you will never see another first nation person the same way again because your heart will be open to seeing the integrity and humanity that always existed within each Sayisi Dene. Inside the summer issue of my recent community newsletter is a beautiful story, "Luezan Tue, A Mystical Place," as told by Roger Deranger. A story verging on cathartic - wisdom united by inner peace and the sacredness of being in perfect harmony with nature. 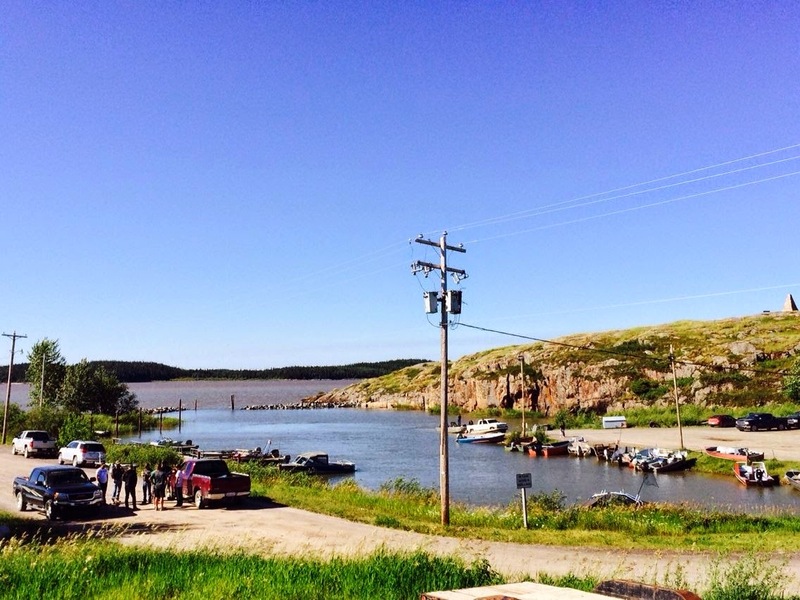 I am forever connected to the community of Fort Chipewyan, a hamlet on the shores of Lake Athabasca. Its people are resilient in the face of many obstacles and hardships, which by-in-large is not of their own making as reported in this health report from the University of Manitoba. This is an idyllic summer picture of my hometown, which is the subject of my newsletter. This newsletter is a pathway to examine the difficulties and celebrate the successes, which hopefully give some insight, particularly of the members of my first nation and how they cope with the adversities of the changing environment. Moreover, it is a newsletter that confronts my first nation's political issues head on to create a community conversation on issues that connect us. If you are interested in the newsletter email me and I will provide a link to it.